dance.net - Doire Design Dress $650 O.B.O. 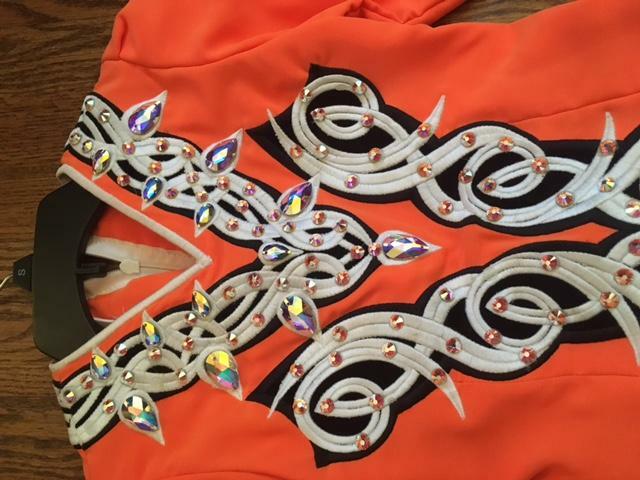 (10247268) - Read article: Ballet, Jazz, Modern, Hip Hop, Tap, Irish, Disco, Twirling, Cheer: Photos, Chat, Games, Jobs, Events! 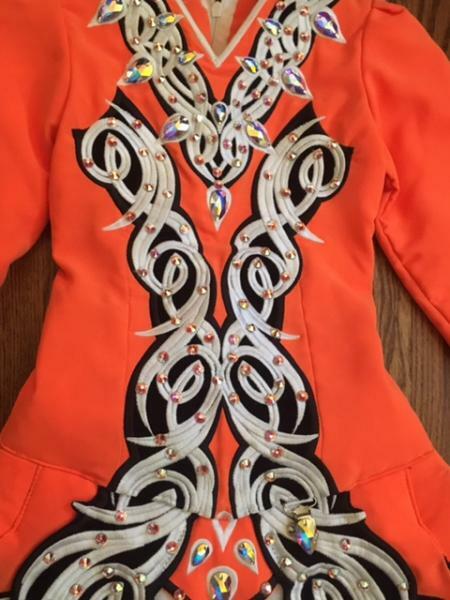 Doire Design Dress $650 O.B.O. Locked by PlanxtyHugh (265402) on 2017-09-25 16:51:25 Sold! 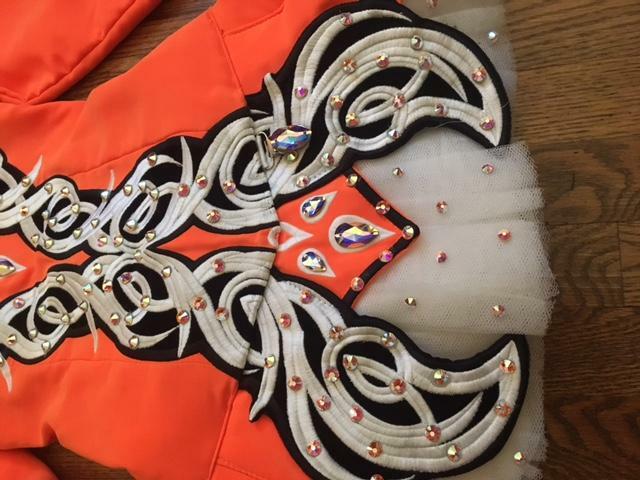 Dress has intricate embroidery and a vibrant orange with a white tulle underneath. 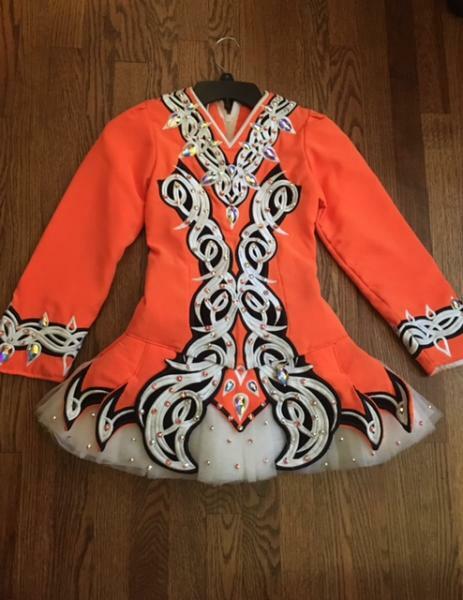 Worn by petite u11-u12 dancer. Selling due to out growth.